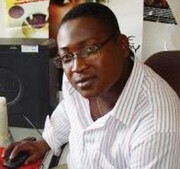 HAITI RADIO/TV PERSONALITY JOSIAS PIERRE ANALYSIS OF THE TOP HMI BANDS ONE BY ONE: NU LOOK. DISIP. DJAKOUT. KREYOL LA. TVICE. CARIMI. ZENGLEN + MORE! Popular HAITI RADIO/TV PERSONALITY JOSIAS PIERRE ANALYSIS OF THE TOP HMI BANDS ONE BY ONE: NU LOOK. DISIP. DJAKOUT. KREYOL LA. TVICE. CARIMI. ZENGLEN + MORE!